Do your kids have treasured photographs that they want to keep? Here’s a fun way to display them. They can make their own picture frame! 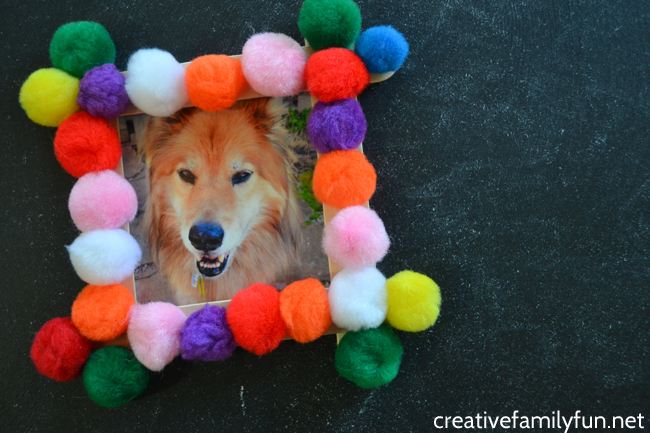 This pompom picture frame craft is so easy to make and it is a fun and whimsical display for a treasured photograph. Disclosure: Thank you to CraftProjectIdeas.com for providing the supplies for this craft project. All ideas are my own. There are Amazon Affiliate and other affiliate links in this article which means, at no additional cost to you, we could receive compensation for our recommendations. You can read our full disclosure policy on our Disclosure Page for more details. 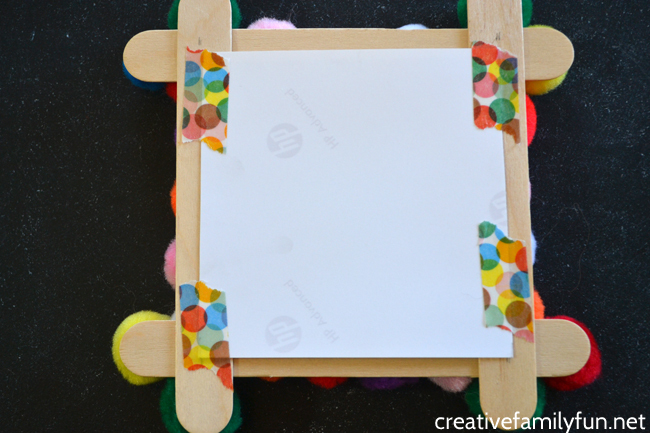 This craft is a fun independent project for older kids and tweens and your younger kids will have fun making one with a little bit of help. Let’s grab some craft supplies and get started. First, you’ll need to create your frame from your craft sticks. 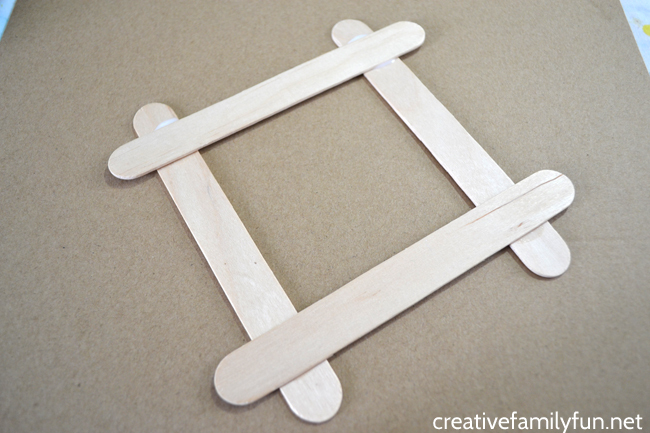 Place down two parallel craft sticks and overlap with two more craft sticks to create a square. Glue your four craft sticks together. 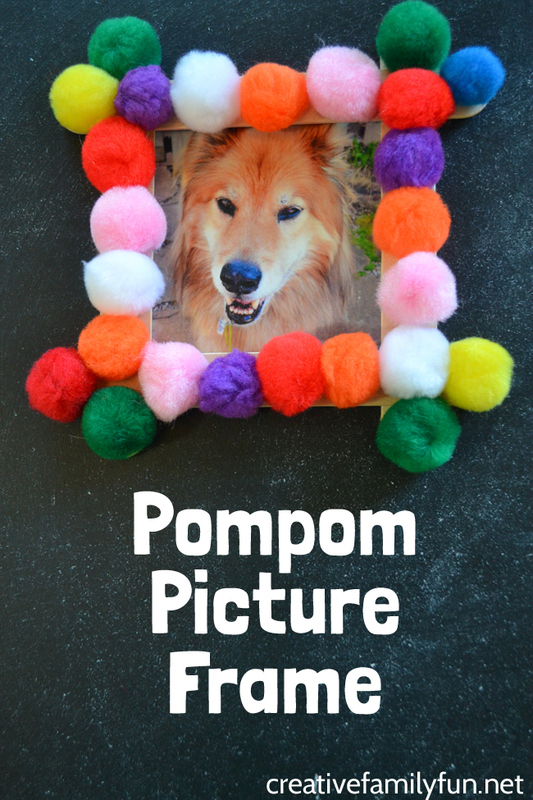 While you’re waiting for your glue to dry, select the pompoms that you want to use for your frame. 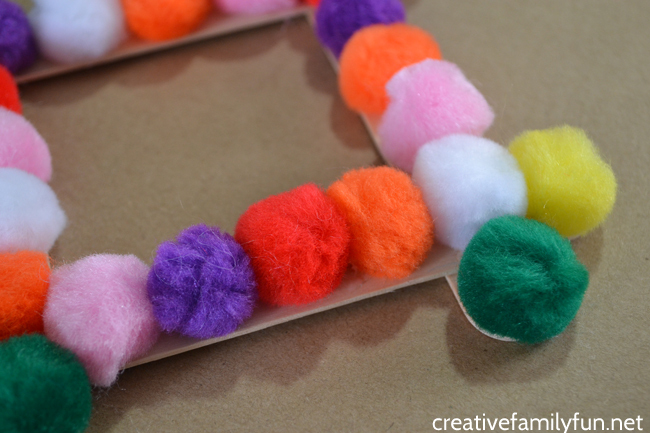 Line your pompoms up along the crafts sticks and glue each one down. 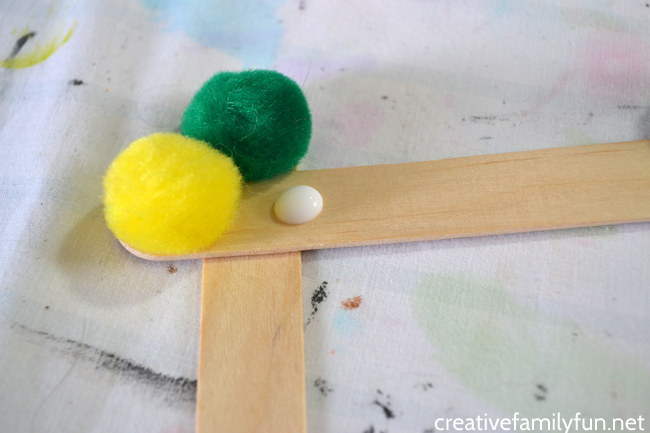 Press your pompom down to make sure it attaches to the craft sticks. Try to cover all the craft sticks so that you don’t have any gaps. You can put your pompoms in a specific pattern or just add them in a random order. You could do a picture frame in all one color, two alternating colors, or whatever you like best. Get creative! This project is entirely yours! Flip the picture frame over and use your tape to attach the picture to your frame. 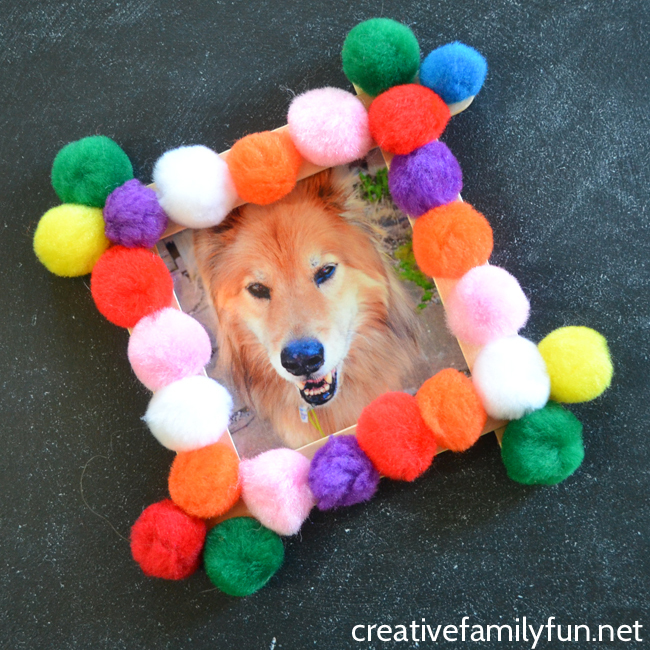 If you would like, you can add a couple of magnets to the back to create a fun magnetic picture frame.